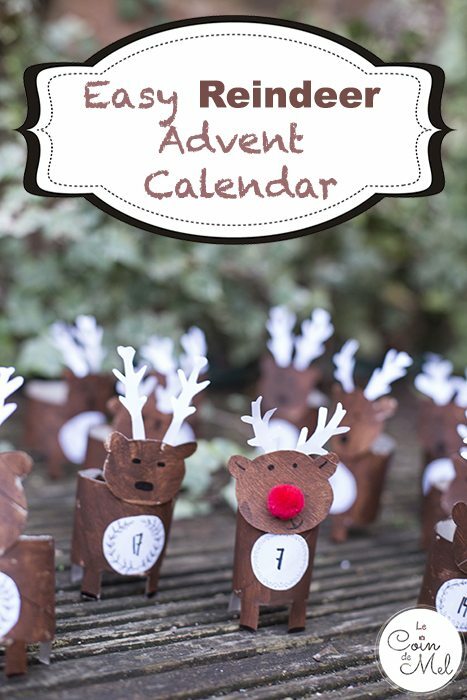 This pretty reindeer advent calendar is easier and quicker to make than you would think! Although I am not a fan of the shorter days, the winter light or the colder weather, one thing I get excited about is reindeer crafts. I have this thing about reindeer in the winter. 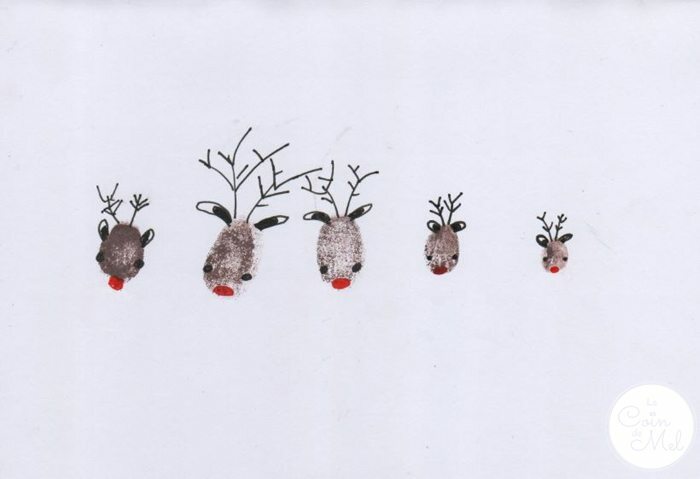 They are just so cute and you can make stuff look like reindeer with very little effort. 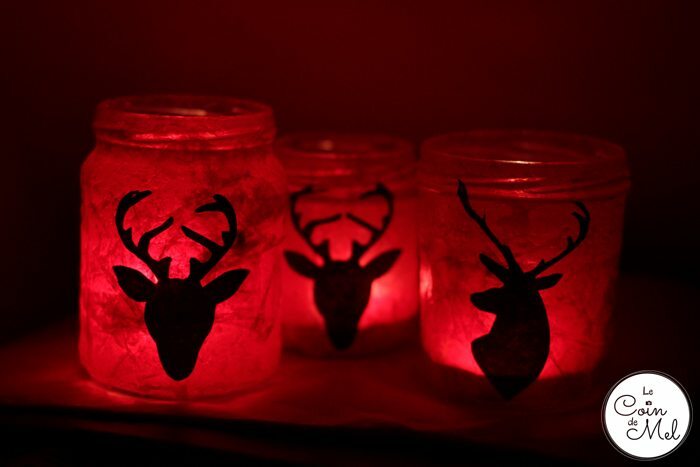 Two years ago, I made these reindeer lanterns in no time with recycled jars, tissue paper, a bit of glue and silhouettes I printed. When my brother was having a rough time, we made these incredibly cute marshmallow pops when he came for a visit, just to cheer him up. 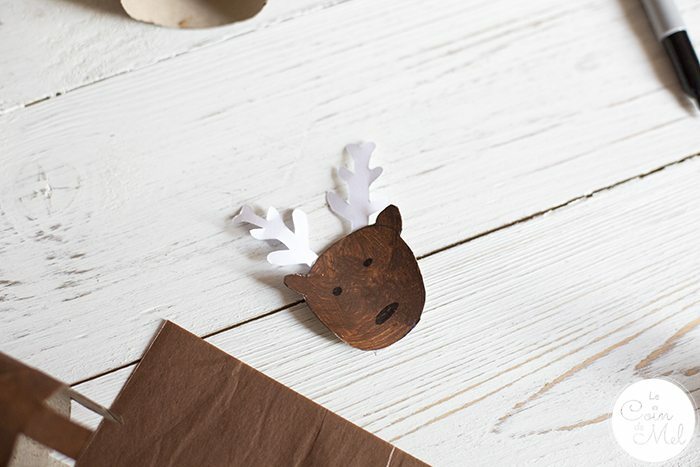 A couple of years ago, I had an epiphany when I spotted some cute reindeer toilet paper rolls in a free magazine from one of the big supermarkets (Morrisons I think). I cut the instructions and kept them safely for later. I would make these babies! 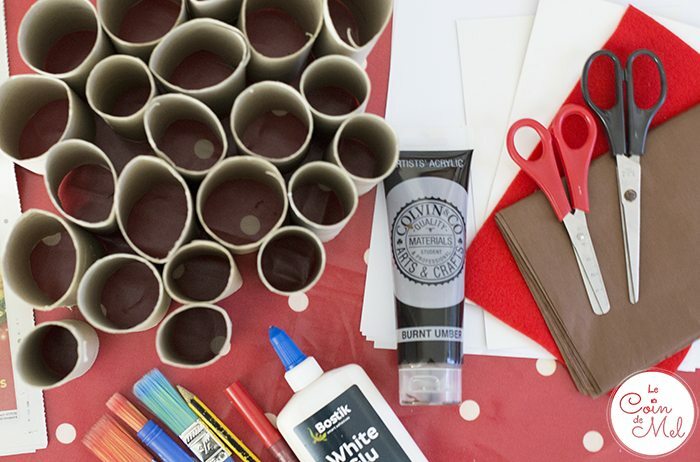 Last winter, I asked a lot of school mums to keep their toilet paper roll cardboard tubes for us and within no time, we were ready to start cutting, painting and sticking. I love this advent calendar and the little notes I put there for the children every day. We will definitely keep our reindeer advent calendar for years to come and look after it. 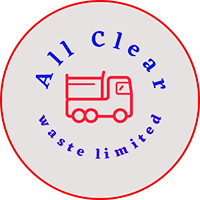 This year, my children will get chocolate coins, mini bath bombs, small bottles of bubble mixture, cute rubbers, Shopkins and notes with activities (Nativity story, Christmas disco, bath with glow sticks, Christmas film night, Carol singing session etc.). Cut a third off the top of each toilet roll. 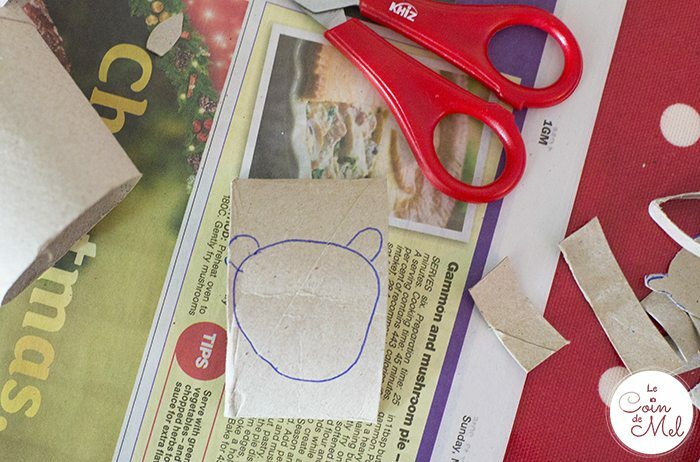 On that off-cut, draw the shape of the reindeer’s head as well as a small rectangle to use as a neck and cut. On the opposite end, cut four rough rectangles to make the legs. 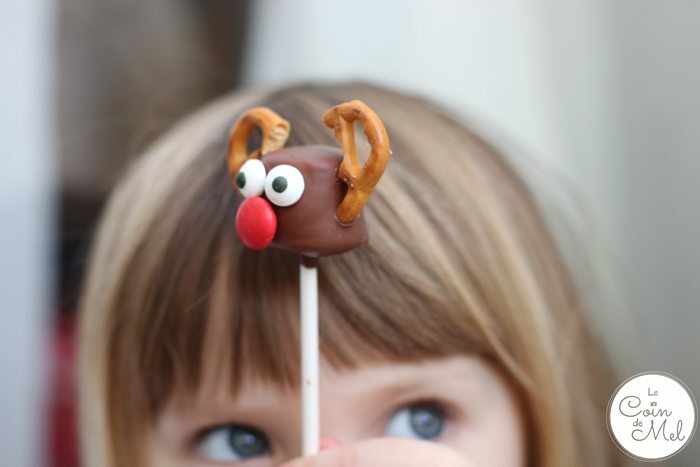 Paint the head, body and neck of your reindeer brown. Leave to dry. Using a black pen, draw hooves, eyes and a nose. 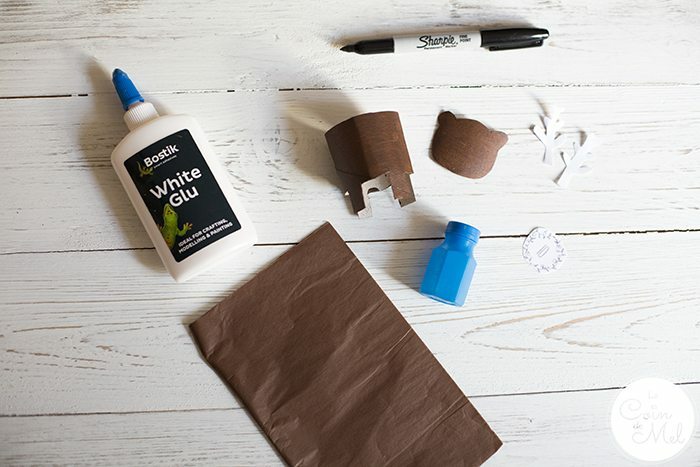 For Rudolph, stick a red pom pom with PVA glue. On white paper, roughly draw antlers and cut. 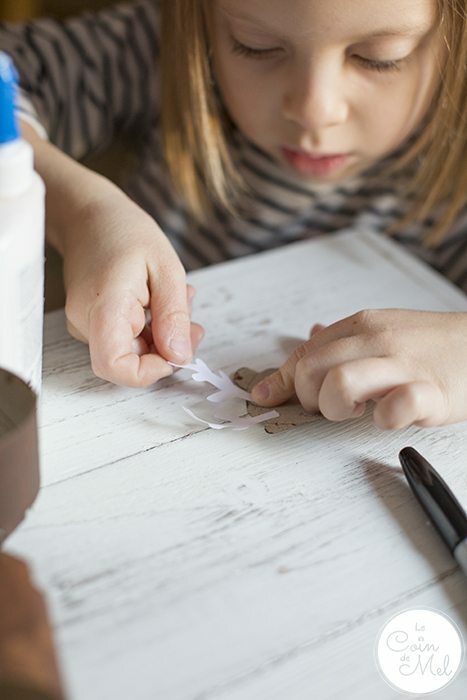 You can cut through 3 or 4 layers of paper at a time, making your life a lot easier and the job quicker. Using PVA glue, stick the antlers to the back of the head and the neck to the top of the body. Stick the body and head together through the neck. 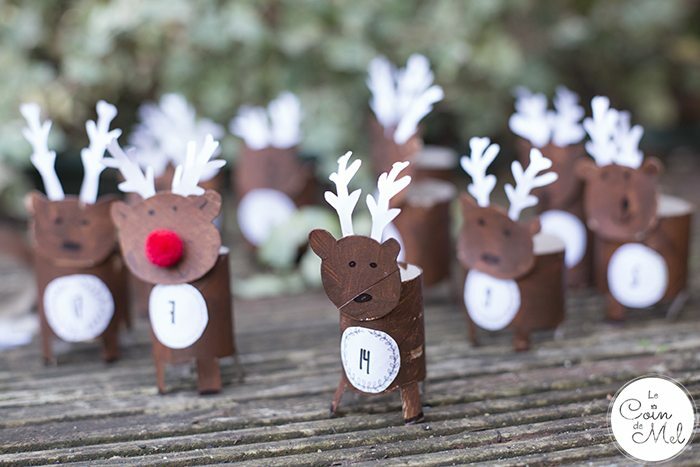 Add numbers to the front of your reindeer. You could write them using your black pen or print a nice set of numbers. Wrap your advent calendar treats or notes in tissue paper and insert in the body of the reindeer. Depending on what is in the tissue paper, you will need more or less layers so it all stays together within the body of the reindeer. 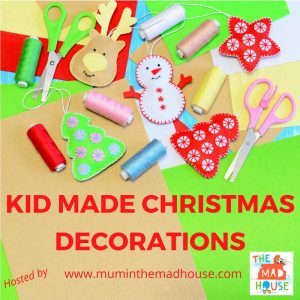 This post is part of a project run by lovely Jen at ‘The Mad House.’ The Kid-Made Christmas Decoration Series is running throughout November with a new Christmas decoration idea every day! 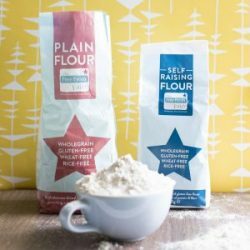 Make sure you check out all the other fabulous crafts that are being shared throughout the month. 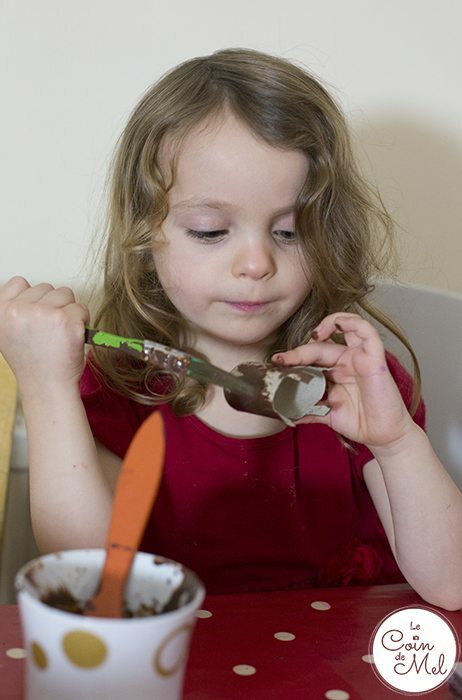 Yesterday, at ‘Sunny Hats & Wellie Boots’ shared her Pine Cone Christmas Puddings. Thanks sweetie. 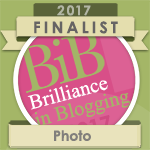 I think I enjoyed it even more than they did, haha! I know what you mean about Reindeers. There’s something super cute and magical about them this time of year. Thanks lovely. We are definitely looking after our little reindeer advent calendar. 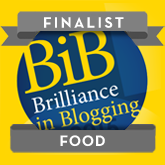 It’s coming out again next year! These are so cute, I wish my godchild was living close by so that I would have an excuse to make them.